Foundation Update #1: The Peercoin Foundation is Now Open for Business! As hinted at in our previous update, we have been working on establishing a foundation for Peercoin and we would like to announce that The Peercoin Foundation is officially open for business! For a long time the Peercoin community rejected the idea of forming a foundation because it would present a form of centralization of power in the community and we all know that the Peercoin community prides itself on its level of decentralization, both in terms of network security and community leaders and developers. The crypto landscape has changed though over the last couple years. The governments of the world are watching crypto now more than ever. Exchanges require the signing of NDAs in order to apply for listings. With the rise of ICOs and the rampant commercialization of all things blockchain, coders who once volunteered their time for free to projects they believe in have been replaced by paid work. There is a clear need for legal representation of this project and community. It is needed to sign legal documents like NDAs. It is needed to form legal partnerships like Peercoin’s recent partnership with PiSupply and StakeBox. 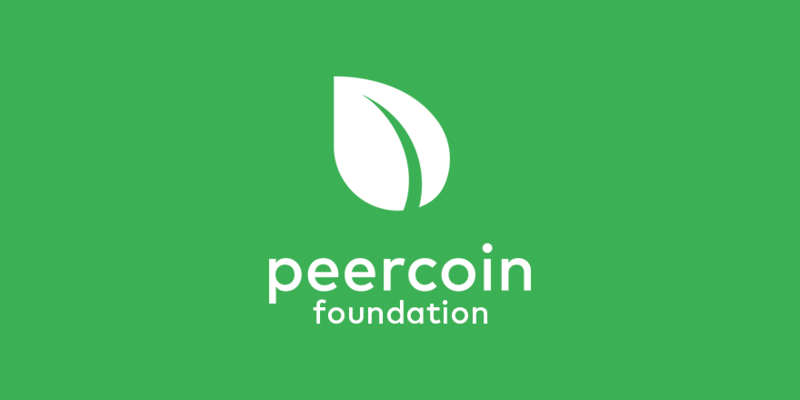 It is also needed to legally collect donations from the community and build them into a fund capable of being utilized to help push the Peercoin ecosystem forward in numerous ways. The community needs funding for continued development to help fill in any spaces where we lack volunteers. Developers will be able to use the foundation to their advantage by using it when claiming compensation to government tax agencies. A foundation can also help with future marketing efforts to increase awareness, which includes things such as advertising, conference attendance, etc. The Peercoin Foundation will be able to make all this possible and support the community in moving the ecosystem forward. Fiat donations in EUR will be supported in the future, but for now we are accepting Peercoin donations through the multisignature address listed below. NOTE: This is a general donation fund to be used to support the Peercoin project as a whole, not for any specific project within the Peercoin ecosystem. Any funds spent will be at the discretion of the foundation’s board members. The Peercoin Foundation is registered in the Netherlands, Amsterdam. The foundation landing page is a placeholder until a new site is presented along with the complete overhaul of the peercoin.net website, which is a work in progress. Soon we will also allow members to join the foundation. If you have any questions, feel free to ask them in this thread and we’ll answer them to the best of our ability. You can also email questions to foundation@peercoin.net in case you’d like to ask them in private. What assets are under the control of the foundation? How does the foundation choose to make use of those assets? Presumably this is stated in the articles of foundation? Is it possible to view these? Why was a Dutch foundation chosen? Yes it’s similar to that. The official assets currently are limited to that donation address, I believe. The board can vote to use those assets, and is empowered to do all forms of things to promote the common, open source project of Peercoin. I believe Netherlands was chosen for its friendly attitude toward projects of this type. The name is actually Stichting Peercoin Foundation. We need some large institutional investors to attract large institutional investors is the only hope. Thanks Nagalim/Sentinelrv one last one - who are the board members? Releasing that info is still under discussion, i believe. A lot of things are still to come, this is only a new beginning. Any funds spent will be at the discretion of the foundation’s board members. Who are these board members? What transparency will there be for donors? Just how much influence will the peercoin foundation have over development? While i generally support the idea of a peercoin foundation to help to promotion/development efforts i cannot help but worry it could end up going the way of the bitcoin foundation (Corruption). There will be more transparent and project specific ways of donating later (similar to peer4commit). Currently, we are only supporting general donations. If you’d rather wait to donate to a specific project, that’s fine.